With Syracuse and Buffalo playing to the wire, freshman forward Oshae Brissett made all the difference. The Bulls had erased a 13-point second half deficit and took a 67-66 lead with 3:31 to go as a tense Carrier Dome crowd looked on. The Orange eventually prevailed, 81-74, and Brissett was a big reason why. While Buffalo may have limited Batle to 13 points, Brissett proved more than capable of stepping up during a tight game. 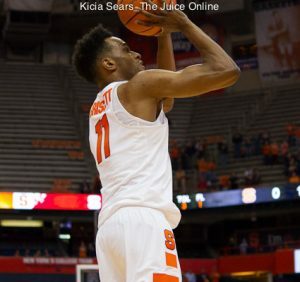 Over the past few games, Brissett has shown off his potential as a leading scorer for the Orange. Coming off a career-high 25 point game at Georgetown on Saturday, Brissett came through again for the Orange with another 25 points against Buffalo. Shooting 4-11 from the field, including one 3-pointer, Brissett racked up the bulk of his points from the foul line. Brissett made 16-16 shots at the foul line, setting a Carrier Dome record. 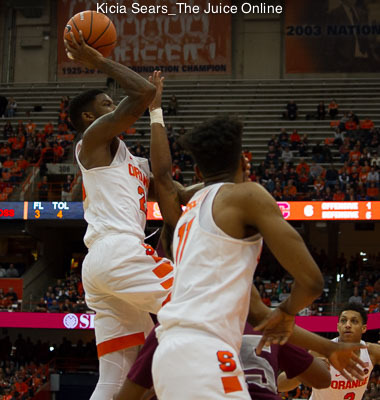 The clutch foul shooting was especially important for the Orange in the final minute of the game. Although in possession of a narrow lead, the Orange remained in danger of an upset as Buffalo continued to make shots from beyond the arc. With the margin narrowed to as close as four, the Bulls fouled Brissett three times in 30 seconds. With a close score and the game potentially on the line, Brissett remained perfect on all six foul shots. 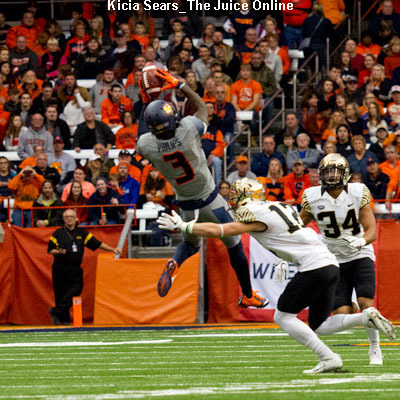 For Brissett, the pressure of the situation was not an overwhelming factor. Brissett also made his presence felt elsewhere on the court, stuffing the stat sheet with eight rebounds and three assists. Three of his rebounds came in the closing minutes as the Orange looked to make a defensive stand against a late Buffalo rally. The freshman’s level of play comes as no surprise to his teammates who have seen him develop as a player throughout the season.